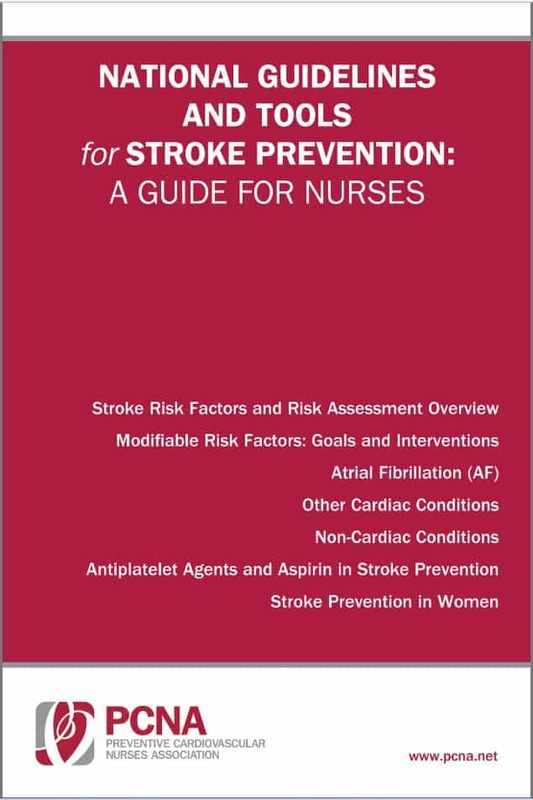 Designed with busy clinicians in mind, the National Guidelines and Tools for Stroke Prevention: A Guide for Nurses provides a snapshot of national guideline recommendations for the prevention of stroke. The tool is accessible on your desktop, laptop, tablet or phone. Just search the table of contents for the specific recommendation you are looking for and one click will take you there. The digital resource is provided complimentary for PCNA members, but you must be logged into your account to access the tool. Join as a member today to take advantage of member pricing. Supported by independent grants by Boehringer Ingelheim USA and Bristol-Myers Squibb/Pfizer. Take the short tutorial as you open the document to help navigate the tool. Directions for navigating the tool can be found here. Disclaimer: Please be aware that these forms include a sample of current clinical guidelines. However, clinical guidelines (federal, state, local, or those issued by clinical organizations) change over time, so the reader should remember to investigate any recent legal or clinical developments.